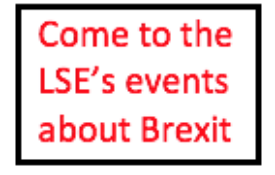 In the run-up to the referendum, the LSE BrexitVote blog ran a series setting out the potential positions of various EU member states if Britain voted for leave. 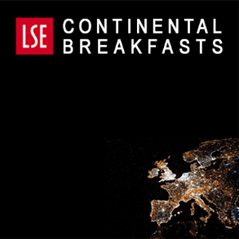 Written by authors based at universities and research institutions across Europe, and compiled by the LSE’s Tim Oliver, the series showed the variety of positions and concerns found across the EU. A full list of the views can be found here. In this post authors from Italy, Germany, Slovenia and Spain, each of whom contributed to the original series, give a brief insight into how politics in their country has responded to the British vote to leave the EU. Italian political mood over the Brexit vote is ambivalent. On the one hand, the Britain’s decision to exit the EU might have a domino effect. For instance, it might well legitimise the ideas held by the Five Star Movement of having a referendum on Italy’s membership of the Euro. To date, the Five Star Movement has become the second political force within the Italian Parliament, and it has recently strengthened its political legitimacy by winning local elections in Rome (where it took 67% of the vote) as well as in other cities previously administered by the ruling Democratic Party. On the other hand, by highlighting the potentially devastating economic consequences as well as the political instability that Brexit has brought to the UK, the Italian government can now advocate the need for Italy to support the EU project in order to avoid worsening an already slow Italian economic recovery. In this respect, as suggested by the Minister of Foreign Affairs Gentiloni, Brexit could represent a good chance for Italy to push the need to redesign the European integration project as well as reshape and reform its policies. Dr Eleonora Poli is a Research Fellow at the Istituto Affari Internazionali. The Brexit vote has turned Berlin into a hive of activity. While the German government had made it quite clear over the past few months that it did not want to own the British EU agenda, Berlin has inevitably been dragged in. With the Brexit vote Berlin no longer has a choice but to own and to steer the impact of the vote on the Union at large. The risk of contagion has been Berlin’s major concern over the past weeks, and both Angela Merkel and Foreign Minister Frank-Walter Steinmeier worked hard to limit the damage to the EU in the weeks after the vote. Germany has engaged in discussions with France, Italy and other founding members, as well as with the Baltic and Central Eastern European countries. Discussions with France have, as usual, been the most important. Almut Möller is joint head of the ECFR Berlin office. The vote to leave came as a surprise to many Slovenes. Slovene commentators also noted that the result surprised UK supporters of Brexit who did not seem to know what to do with it. The perception of a limited direct effect of Brexit on Slovenia still persists while (potentially negative) indirect effects for this small and open economy are covered with mist. An early response by the Slovene centre-left government sounded like an echo of that of German Chancellor Angela Merkel: the departure process should begin as soon as possible but there is no need to be destructive about it. Slovene Prime Minister Miro Cerar, although agreeing that this should be an opportunity to make EU stronger and better for its citizens, pointed at the need to keep sovereignty, see less bureaucracy and focus on competitiveness, which is in fact something that UK was asking for. This resonates with unspoken fears that a post-Brexit EU will see a strengthening of the position of southern member states asking for redistribution, and of eastern member states whose ‘illiberal democracy’ trends could add to disintegration tendencies. Unfortunately, the UK’s vote to leave cannot be reversed, it is like trying to put toothpaste back in the tube. Marko Lovec is a research fellow at the Centre for International Relations of Faculty of Social Sciences, University of Ljubljana. For better or worse, there were only three days between the Brexit poll on 23 June and Spain’s second General Election this year, which took place on 26 June. No opinion polls show whether Brexit impacted on Spanish voters’ intentions, mainly because Spaniards do not follow international or European issues, and even less so when voting in domestic elections. But the truth is that Britain’s vote to leave the EU severely hit Spain’s financial market, the IBEX-35, which fell more than 12% in one day, being the deepest plunge since it was created in 1992. The confusion sweeping Europe also spread to Spain and some argued that the fear of domestic and European instability made Spaniards vote in a more conservative way than they did six months before. Care-taker Prime Minister Mariano Rajoy linked Brexit to populism in a clear reference to his opponents, the anti-austerity party Podemos. Gibraltar and Scotland are the perfect examples of how Brexit has been seen through Spain’s domestic politics. On the one hand, Gibraltar was the issue for the first declaration by the Spanish Foreign Minister, José Manuel García-Margallo, when he reminded the UK of his proposal for shared sovereignty over Gibraltar as a transitional step towards the restitution of the Rock to Spanish sovereignty (within the EU). On the other hand, Spain would veto any negotiation with Scotland before a Brexit takes place. As Mariano Rajoy stated: “If the United Kingdom leaves the EU, so does Scotland”, a clear message for Scottish but also Catalan pro-secessionist parties. In a nutshell, a (Spanish) Gibraltar can stay in the EU but a (non-independent) Scotland cannot. For the foreseeable future the Spanish government will likely follow its traditional pragmatic stance of trying to find a “fair solution” to Brexit for both sides, one which also allows EU member states that wish to do so to continue building “More Europe”. Laia Mestres is a postdoctoral researcher at the Institut Barcelona d’Estudis Internacionals.